Mel Says: best sticky toffee pud I've ever had. 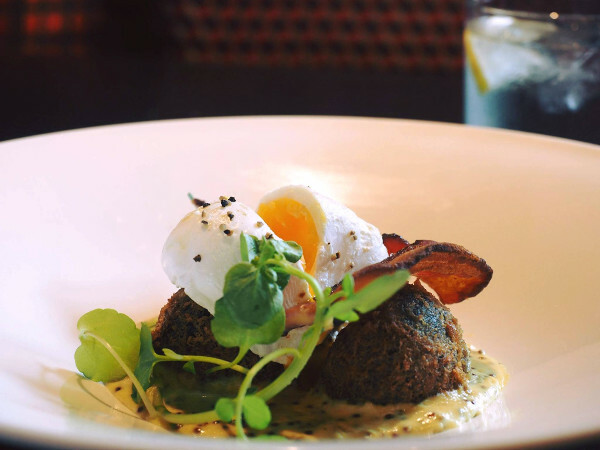 Chez Nous Bistro is an independently owned bistro serving modern British cuisine, located within the leafy suburban streets of Sale, South Manchester. The restaurant first opened its doors in 1982 and was, for almost 35 years, a favourite neighbourhood eatery, serving homely French bistro classics. When the original owner retired in 2016, our Chef Patron, Ian Carr saw the potential to build on this heritage and open the restaurant up to a wider audience. We aim to provide a delightful, informal dining experience - with the best possible food and service. We take great pride in sourcing high quality local produce and take care in cooking it, to create our modern British cuisine. We try to reflect the cosmopolitan feel of Manchester in our menus – so you’ll often see influences from other cultures, as well as British in our food. As we do our utmost to work with only fresh, seasonal ingredients, our menu changes regularly and we often have specials – do let us know if you have a favourite dish! We also have a special menu for our younger guests (high chairs are available too). The bistro itself is designed to encourage sociable dining, with large round tables for groups, as well as cosy corner tables for two available. Intimate and inviting, with a stylish interior – we like to think of ourselves as city restaurant in the suburbs. When the weather is warm, you can enjoy a drink in our outside seating area at the front of the restaurant – or when it’s chillier, we have a glass-roofed courtyard at the rear. Chez Nous Bistro looks forward to welcoming you, whether it’s for a romantic dinner for two, casual meet-up with friends or a special celebration! For reservations please call 0161 969 1172 or click here to book online.